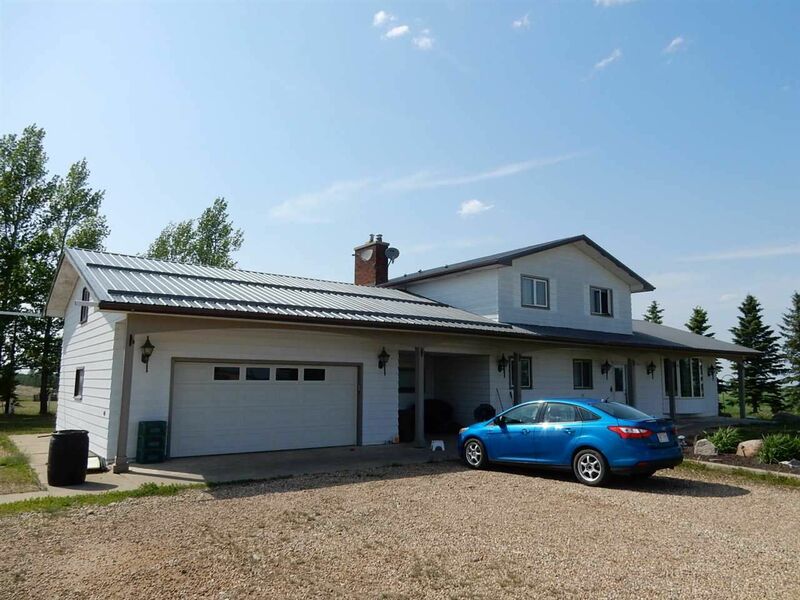 4.15 acre - 2260 sq ft 2 storey acreage with pavement access. 4 kilometers from Legal. Fenced horse pasture at back of property and large 3 door 42 x 60 shop with concrete floor built in 2012. Double attached garage with loft/recreation area above the garage. Great location 4 bedroom home with 2.5 bath - open country kitchen and den on he main floor.